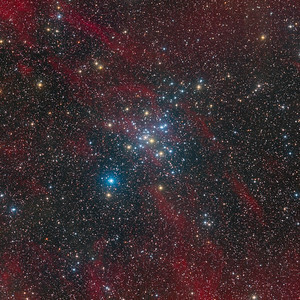 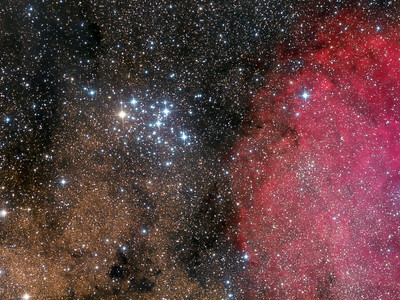 NGC 3532, also known as the Wishing Well Cluster, is an open cluster in the constellation Carina and one of the Southern Sky's finest Jewels. 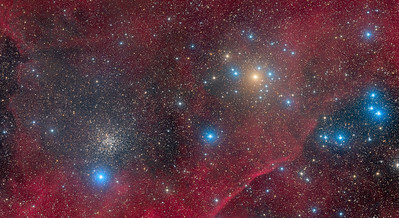 It got the name because through a telescope's eyepiece it appears like dozens of silver coins twinkling at the bottom of a wishing well. 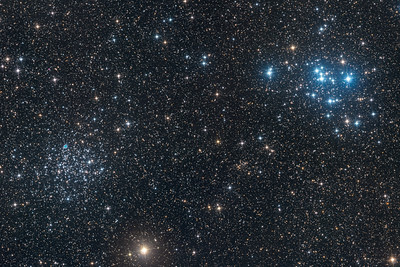 NGC 3532 was discovered by Nicholas Louis de Lacaille on January 25, 1752 from South Africa, and cataloged as Lacaille II.7. 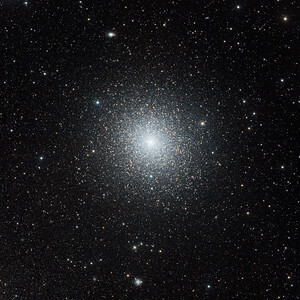 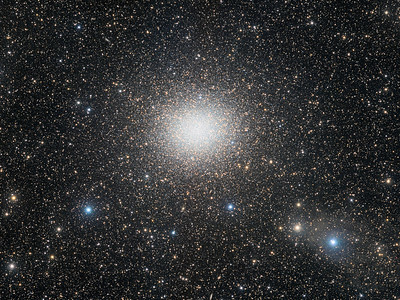 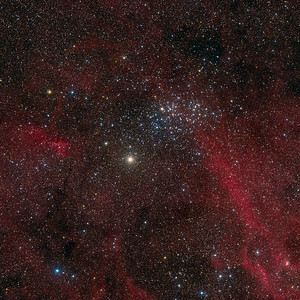 About 1,300 light years distant and consisting of approximately 150 stars of 7th magnitude & fainter, NCG 3532 was the first target ever observed by the Hubble Space Telescope on May 20, 1990. 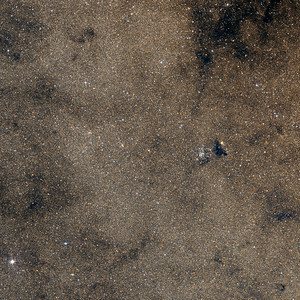 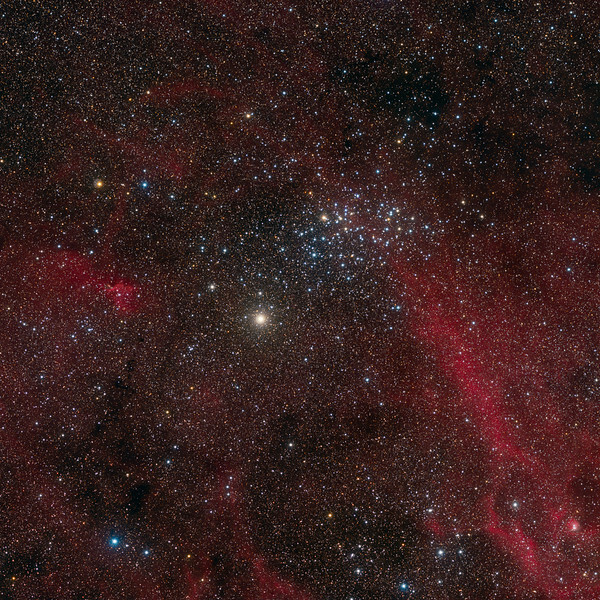 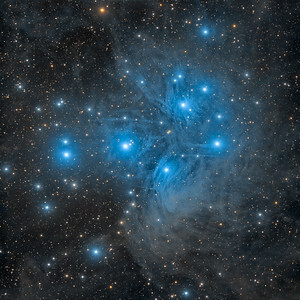 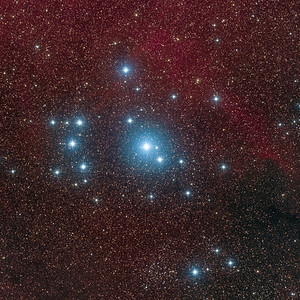 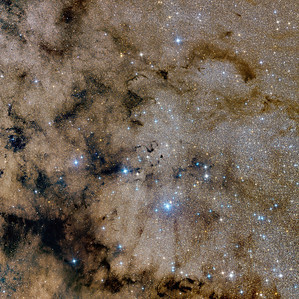 It lies between the Southern Cross constellation and larger but fainter “False Cross” asterism with X Carinae the nearest star right next to the cluster but not a member and Eta Carinae & its famous nebula not too far away along with a bunch of other nearby deep sky objects (text adapted from Wikipedia).